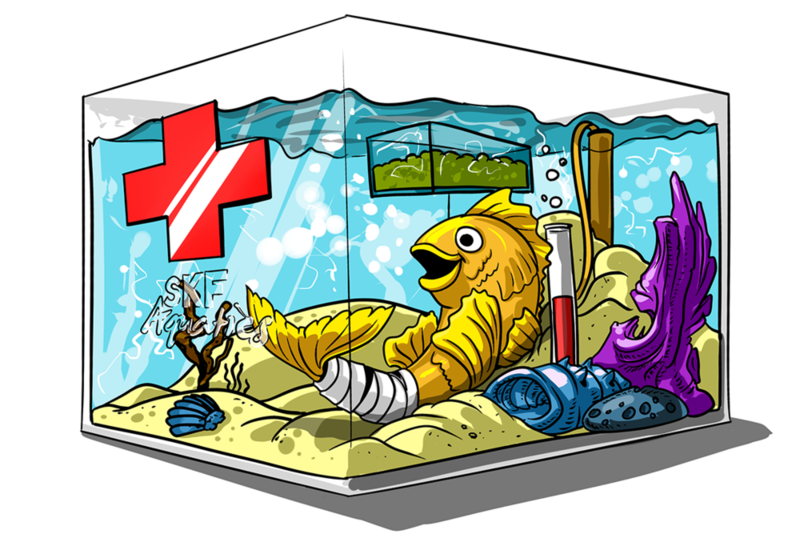 A quarantine or hospital tank is an important part of owning an aquarium. Quarantine tanks should be used by anyone introducing new inhabitants (fish, shrimp, etc…) to a tank, but unfortunately, not all owners are able to use these specialized tanks. When a new inhabitant is introduced into an aquarium, there is the potential for it to bring diseases or parasites and vice versa. For example, new fish tend to be stressed from the transportation process. Because of this, new fish are more vulnerable to any disease or parasites already present in the existing aquarium environment. In other words, disease and parasites can work both ways, harming both the new fish and harming fish already present in the environment. A quarantine tank helps to protect your aquarium and allows new fish to regain their strength following their journey. It’s important to make an investment in one of these tanks if you’re serious ab out fish or any aquatic animal ownership. In most cases, people don’t purchase a quarantine tank because they either don’t understand its importance or they don’t have the additional money/space for another tank. A quarantine tank also requires additional maintenance. However, you don’t have to invest in a particularly large or expensive tank. You may end up saving money in the long run by preventing your fish and shrimp from getting sick or ill. Most people who invest in a quarantine tank end up realizing there are significant benefits. These tanks not only prevent the spread of disease and parasites, but also help your new inhabitants to adjust to the new water and food they’ll be exposed to. When you’re not quarantining before introduction into the larger tank, you can also use it as a treatment tank. For example, if you have sick or infected shrimp, you can separate them from the larger population and place them inside the quarantine tank. This allows you to carefully attend to your sick shrimp without worry than your healthy shrimp will also become ill. Under some circumstances, you can also use the quarantine tank as a breeding tank, a tank to raise newly hatched fry and shrimplets, and as a place to seclude any of your inhabitants who are being harassed. There are additional benefits to using a quarantine tank. First, it’s easier and cheaper to medicate sick inhabitants when you use a quarantine tank. By preventing a larger outbreak, you can minimize the medical costs by limiting your treatment to one or two sick inhabitants. 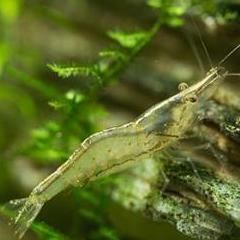 It’s also far easier to maintain the water quality for newly introduced fish or shrimp. In heavily populated tanks, it’s difficult to keep the water quality at optimal levels. In a more limited quarantine tank, you can more effectively maintain the optimum water conditions. If your inhabitants are exhibiting any signs of trouble adjusting to its environment, you can perform even more frequent water changes to guarantee the water quality is optimum. However, in general, a quarantine tank is a good investment because it allows you to keep any eye on specific tank inhabitants more easily. When a fish or shrimp is isolated from larger groups, it’s easier find and inspect. They will also be less likely to hide in a smaller tank. For all these reasons, quarantine tanks are the perfect solution for aquatic owners needing to keep inhabitants isolated. Typically speaking, you’ll want to buy a 30-40L (approx. 9 gallon) tank for use as a quarantine tank. This size is perfect for both freshwater and saltwater environments. Afterward, you’ll want to set up the tank to operate properly. Use a fluorescent light to illuminate the area, keep a heater to warm the water, and use rocks that can be easily scrubbed of any waste. PVC and plastic tubes can be used to provide additional cover. To keep the tank appropriately filtered, use a sponge filter. These filters require you to remove, disinfect, and rinse them in-between uses. Also, since quarantine tanks are temporary holding areas, they typically don’t have a substrate. This will let you clean and disinfect them more easily. The disinfection process itself is not too complicated. You can remove the equipment inside when the tank is not in use. Using a mild unscented bleach solution, you can scrub both the equipment and the internal walls of the tank. However, make sure to remove all traces of bleach before refilling the tank and placing any fish in there. Drying out the tank is another way to kill many of the waterborne pathogens that commonly infest a tank. Use a separate siphon for your quarantine tank than you use for your normal tank, and disinfect it when you disinfect the rest of the tank’s equipment. With fish, the actual length of time you keep them quarantined can vary, but typically it takes between two to four weeks to either introduce a new fish or rehab a sick one. Within that time frame, a copper sulfate treatment can be used to treat parasites. This process can last anywhere from two to three weeks. Keep an eye on your fish. If they have red spots or ragged fins, there’s a chance there’s a bacterial infection going on, which will require additional treatments. Also replace between 10 and 15% of the water every other day to guarantee the quality of your water is at its best. That said, if you also keep shrimp, either setup a second hospital tank for them or ensure you do a proper clean after use. To shrimp, the majority of copper based solutions can be fatal.